Did you know that children aged 5 and under can skate for free at the National Ice Centre? A dedicated area in the centre of ice, The Tots Zone, has been recently introduced to help pre-schoolers and their parents grow confidence on the ice at their own pace. 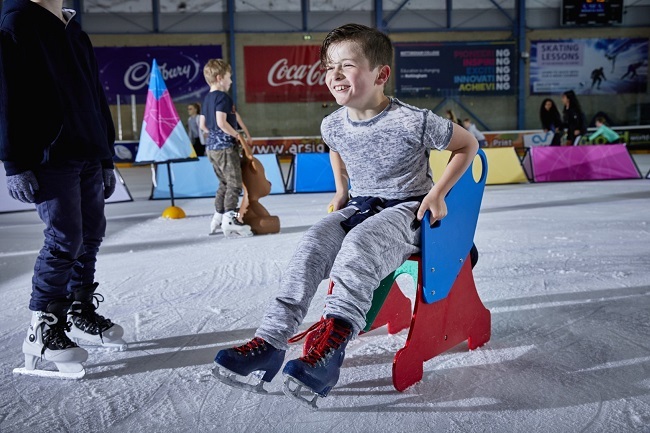 The Tots Zone includes ice equipment such as seals, penguins and scooters for children to enjoy and is in operation on Fridays 5:30pm-7pm, Saturdays 11am-5pm and Sundays 10am-12pm or 1:45pm-5pm. With skates as small as junior size five, tots from as young as 18 months old can join in! Find out more.